Do you cling to your possessions for way too long? 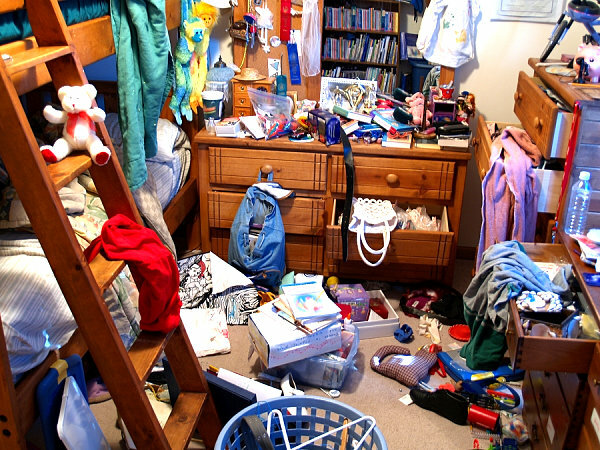 Are you what people would call a hoarder or pack rat? I could be called a lot of things, but one thing I'm positive no one would call me is a pack rat. To me there is nothing worse than to have things stock piled in every corner and counter of your house. Now I know getting rid of stuff can be painful, I'm not without feelings. But you will be amazed at how freeing it is to just let go! Having excess stuff makes me feel almost claustrophobic and out of control. I'm not a total neat-freak but I do like things to have their place and be fairly organized. So I thought I would offer some tips on how to clean out and de-clutter without it being so overwhelming! Pick a specific area and concentrate on that. Don't look at the entire big picture of what you need to do. Find your area that you want to work on, and give it 1 hour. Focusing on a small area makes you feel less overwhelmed by the task and by only committing to 1 hour it makes it feel much more doable. Will I REALLY need it in the future? What is the value of the item? How often do I use or enjoy this item? How much is the cost replacement? What is the value/sentiment of the item? Procrastination is your worse enemy! I mean your house is not going to get organized by itself, right? And trust me I know that getting started is the hardest part. But believe me once you get going it's a great feeling of accomplishment! 5. ONE IN ONE OUT! That's my rule that I have for myself, one in one out! What do I mean by that? When I purchase a duplicate of something, something goes out in the trash or I give it away. Do you really need 5 bottles of body wash or shampoo? Also make a list when you go to the store. That way you're not over buying. 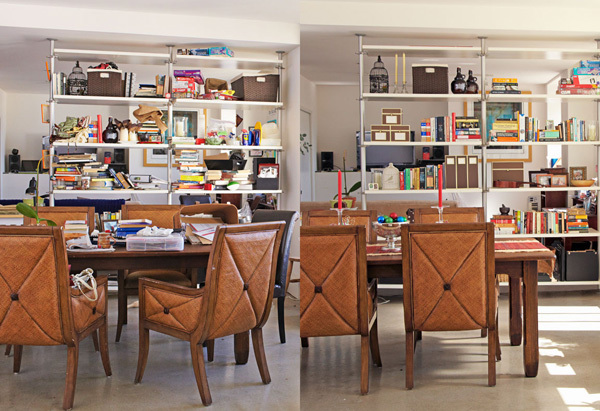 What are your thoughts on de-cluttering? I love to hear your comments and any new tips you might have!